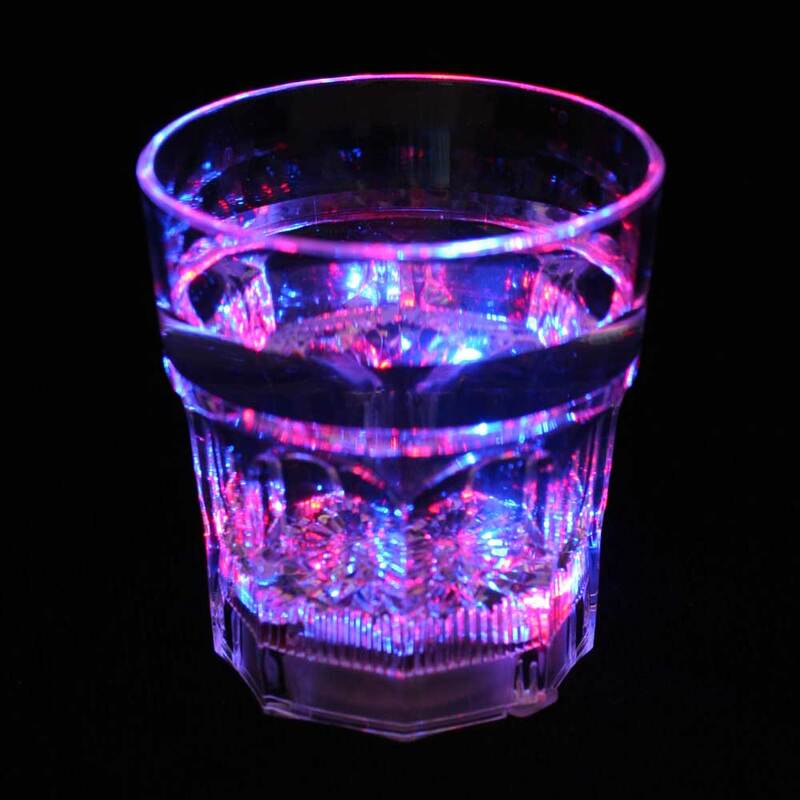 First there were party drinks, then there were body lights (blinkies), now we bring you this 6 oz LED Light Up Flashing Champagne Flute, (part of our Light-Up Barware collection,) the ultimate light-up party and bar favor! 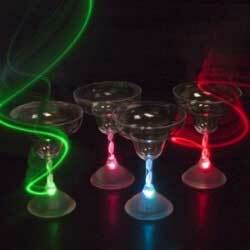 Imagine holding a luminous champagne glass in your hand, where the whole glass, including the beverage inside, spin with many colorful lights! 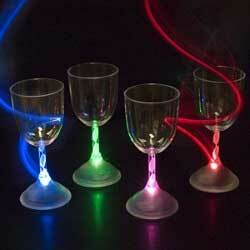 This LED Flashing Champagne Flute has a Spiral DNA Stem and a "Still" setting, which allows you to light it with a single color, with 7 different colors to choose from, and a "Rainbow" mode, which cycles through each of the colors. 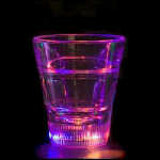 It is made of a high quality, safe, clear acrylic, with replaceable batteries. Height: 8.5 in. / 21.59 cm. Width: 2.95 in. / 7.49 cm.